Where does your iPhone or iPod live when not in use? I guess like mine in a pile of stuff and when you need it you can’t find it. And that is why you need the iBox. A nice box made from solid hardwood with a ceramic tile on top saying iBox and then there is a velvet line inside to keep your Apple gadgets safe. The bottom of this box is lines with felt so that it will not scratch any surface you place it on. You see this box is great for you gadgets that you need on the go so place them in the box when you come home and you will know where it is next time you need them. 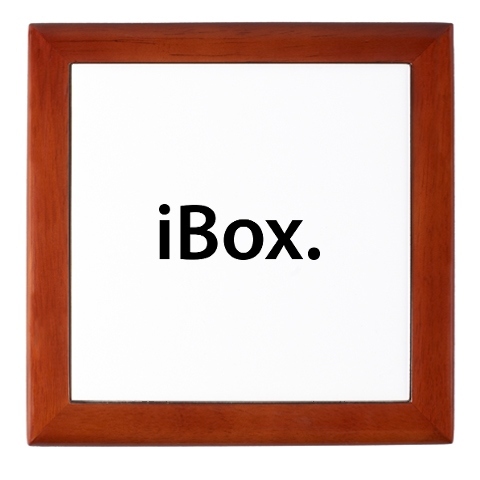 Order you iBox storage box today and stop the search for gadgets in the piles of stuff.